Way of the Dodo: The Invisible Woman. 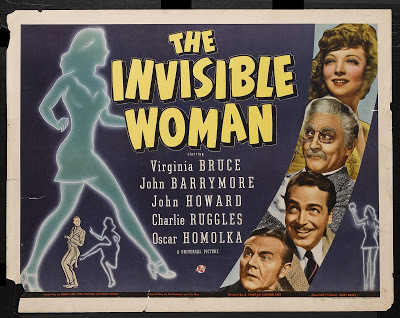 I had a plastic model kit when I was a youth: The Visible Woman. Her skin was clear plastic, with veins, I think, and the skeleton fitted inside of it, and all the organs could also be fitted around the plastic bones. You painted parts of it, as I recall, the lungs, a lot of things with interesting, sculptural shapes that I cannot remember the names of. I really loved this model; to take it apart, and fit it back together- I never wanted to glue it, because then you would not be able to take each piece out and feel its shape- what's more, you'd have had to choose whether you would glue in the fetus or not: Was the visible woman a Mother, a creator of life, a nurturer of the future generations? Or was she a care-free single gal, a free-spirited Muse who could toss her things into a ruck sack and take off for a month? Hard choices. I'd be damned if I was going to make them. About a month and a half ago, I got that Carrie Brownstein haircut I have been wanting. This wouldn't have been anything worth mentioning to you, except for the fact that I had let my hair grow quite long, over the last three years. When I had it cut, two/thirds of it, old, ancient hair from the time before the big trees, was swept up and tossed out. That was great- the entire reason I was willing to face growing it long in the first place was the anticipation of the delicious pleasure of seeing it fallen all around me. Molly Ringwald calls long hair 'boyfriend hair.' I was looking ahead, to a time where having long hair would have felt even more ridiculous, so I grew it longer than it had ever been in all my years. But, you are right, this is nothing in geological time, and so what of it? The thing is, only one person noticed. Now isn't that odd? I have been waiting for people to mention it to me, but now, nearly seven weeks later, I have come to the conclusion that no one is going to notice. I have become, as they say that you do, old enough to be invisible. Now, now, let's shed no tears over it- I knew this day was coming, you read about it everywhere! The thing I was not prepared for was that I would become invisible to the people I know. I thought it would be strangers, employers, silly boys, young women in form-fitting stretchy fabrics; hip people, pop musicians, and the well-heeled. I wasn't going to miss their notice in the first place. But, the people I see each week? Who knew I would become invisible to them? I think, because I like to think the things I like, that I will chalk this up to achieving a presence that has gone beyond the visible. Yes, you should share this little joke with me, and then you should adopt it, preemptively, as your new mantra. There is power, my dear sisters, even in being invisible. If you doubt me, try something subversive and see if you don't get away with it easily. Here is another little something.